Access All Areas Members are being treated to a cool set of premium vector graphics today. This set of cave painting graphics from DesignSomething includes 18 illustrations of various neolithic objects and scenes of hunting & gathering. The graphics are available in both AI and EPS file types, making them perfectly compatible with Illustrator, Photoshop and other EPS supporting applications. The DesignSomething store on CreativeMarket is home to a range of useful resources. There’s a massive range of graphics, templates and graphics available such as Photoshop Actions, Mockup images and overlay textures to help you perfect your digital creations. 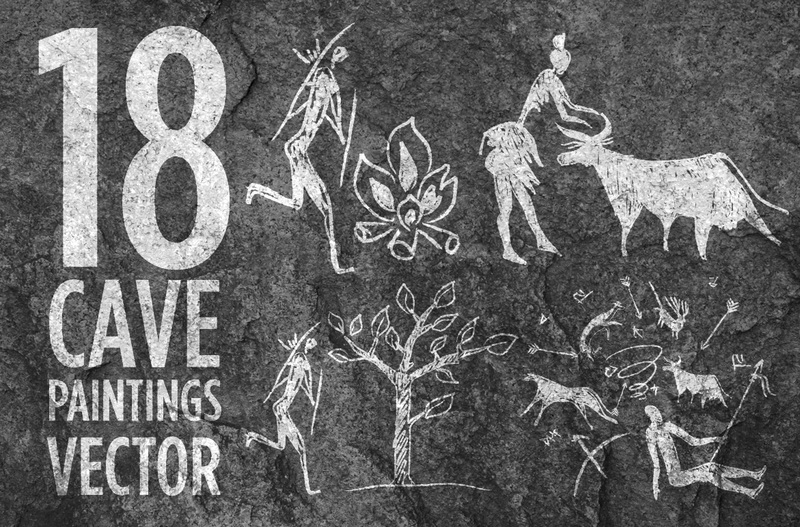 This handy set of cave painting vectors has been kindly donated for Access All Areas members to enjoy. Each graphic has been created to achieve to primitive hand drawn effect with rough brush strokes. 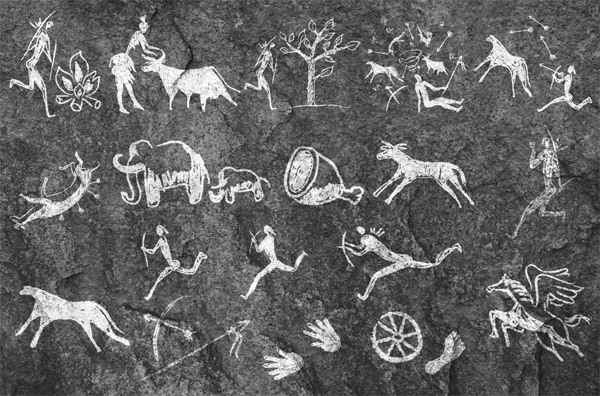 Use the ready made drawings to form a prehistoric scene, or ungroup and split the elements into individual elements such as spears, arrows and animals.